← Open Letter to Bumbershoot: You are Too Expensive! And I Won’t Go Anymore. Steve Jobs, we feel we know him and yet he is something of a mystery and there is an enormous amount to cover. Jessie Hartland has created an illustrated work, a “graphic biography,” that brings the public figure down to a human scale: “Steve Jobs: Insanely Great,” published by Schwartz & Wade Books, an imprint of Penguin Random House. Read my review here. 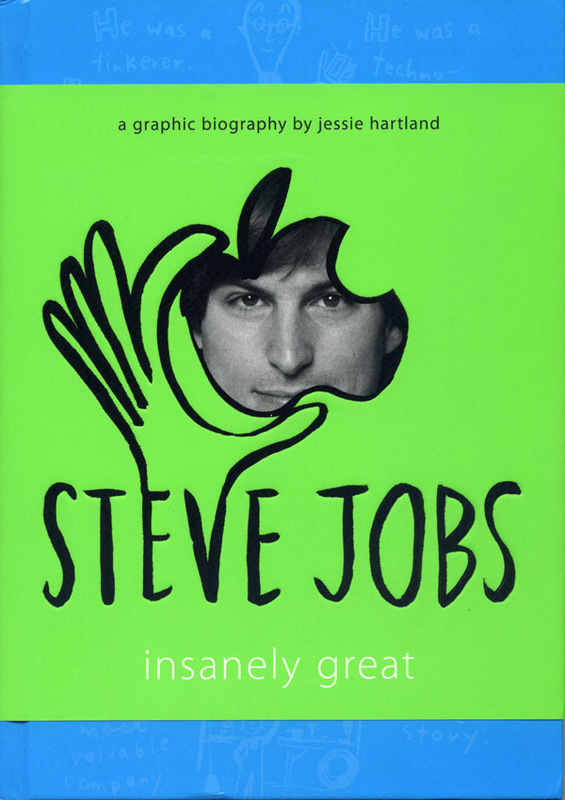 For her book on Steve Jobs, Ms. Hartland provides us with an engaging and comprehensive look at one of the great technology trailblazers of our time. “Steve Jobs: Insanely Great” is another wonderful example of an all-ages book providing a significant amount of information in a concise and entertaining way. While Jobs is a problematic role model at best, he remains a most intriguing individual. The full interview with Jessie Hartland follows and includes the podcast at the end. Henry Chamberlain: Do you believe that your book has brought Steve Jobs down to a human scale and made him accessible to readers? What would you say is your purpose in bringing this book out? Jessie Hartland: I think more people are reading my book than would normally sit down with a 600-page biography. So, more people are learning about him. He’s such a fascinating guy. I had just turned in the book on Julia Child, which was also a graphic biography, this one was in color. And I was searching for who to write about next. I was considering a scientist or an artist. And then Steve Jobs dies. He seemed like just the right person to write about. It had begun as a picture book, more like the Julia Child book I’d done, for younger kids. The more I read about him, the more I wanted to write about his whole life. 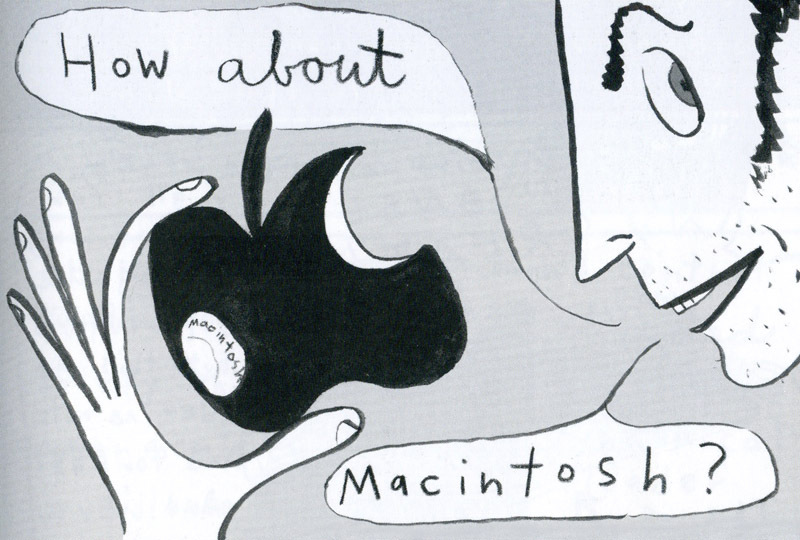 My editors had originally envisioned the book ending with the Apple I computer. Only 200 of those computers were sold and that’s not what he’s known for. So, I went back to my editors and said I really wanted to cover his whole life, I want to do it in black and white, and just run with it. I didn’t want to limit the page count and I wanted it to be more for middle grade or teenagers. HC: What was your thinking with going with black and white? Was that to instantly signal the reader that this is more serious content? JH: I think a lot of the graphic novels out there are black and white. I like the stark quality of black and white. I like Marjane Satrapi’s “Persepolis.” I could have used color. It wasn’t really discussed. I think I wanted it to be more about the drawings, the lines, and the words rather than these gauche paintings. If I had done gauche paintings for this one, I probably would still be working on it. HC: This must be quite pleasing to have these two major films coming out coinciding with your book. That didn’t turn out that way with your book on Julia Child. JH: Yes, that’s a funny story. I came up with the idea for the Julia Child book years ago, probably two or three years before the film, “Julie and Julia.” I had different editors then and they were saying that no one cared about Julia Child anymore. And so the book ended up without a home. Only later, with my editors at Random House, did the book find a home. The 100th anniversary of Julia Child birth was coming up and there would be press for that. But, had we moved forward earlier, my book would have coincided with the film. HC: But now you’ve got two major films. The new Alex Gibney documentary, “Steve Jobs: The Man in the Machine,” comes out this week, September 4th. HC: And then you have what I can only imagine will be a very important film, with an Aaron Sorkin screenplay, simply entitled, “Steve Jobs,” coming out next month, October 9th. There have been all the books, these two major films. I can’t think, in recent memory, of so much notable work springing forth from one public figure. JH: He’s such an interesting character. Here’s this guy, this rebel, this iconoclast. He dropped out of college after only one semester. And then he takes a calligraphy class. He starts a little company in his parent’s garage with Woz and it grew to become the world’s most powerful company. It’s just amazing. Who wouldn’t want to know more about him? HC: We’re at a very interesting turning point with graphic novels. More and more people are understanding that they aren’t just for kids, if they ever were, really. HC: You create a perfect all-ages book with issues that can be discussed between a parent and child. You bring in the issue of his experimenting with drugs. You bring in the issue of his not ready to be a dad the first time around. These are big issues but kids can appreciate the realities of life and these are things that are fair game to include. JH: I didn’t want to leave out the low points in his life. His denying the paternity to his first child with his high school girlfriend. And, of course, the drug use. He said so much about how important that was. 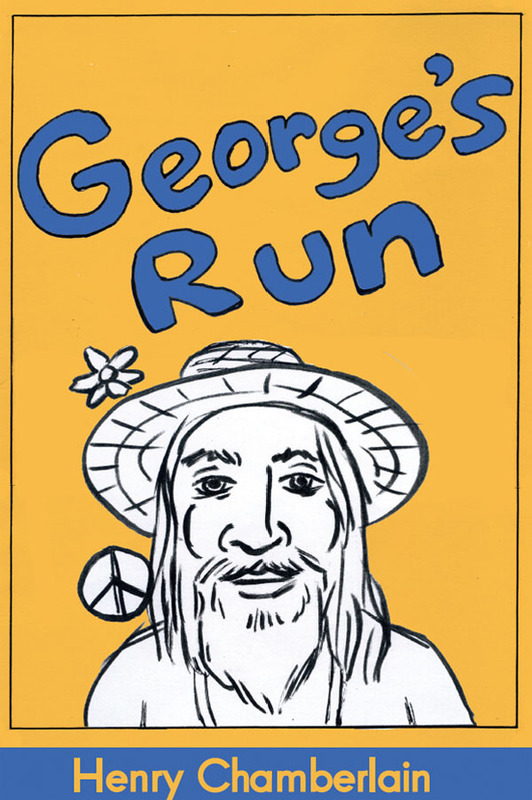 He really liked these psychedelic drugs and they gave him a different viewpoint of the world. For him, it was like looking down from another planet and seeing the big picture. It helped him with his intuition and imagining what kind of products people would want in the future before they knew what they wanted. He didn’t like to do market research. He liked to quote Henry Ford, another great businessman. Ford would say that, if he left it up to the public to decide what they wanted, they would have asked for a faster horse. HC: I wanted to ask you about your process. You do a variation on storyboarding. I imagine that you work larger than print size and then reduce your pages to fit inside your binder where you can then shuffle them around as you need. JH: Yeah, I work a little bit bigger than print but not by too much. Those binders are really important. This book took up two of them since it was so long. The pages let me shift things around. It’s really important to organizing the material. It took two years to siphon through that quantity of material, to winnow it down, and get everything in order. It took a while to wrap my mind around the fact that iTunes came around before the iPod. And then the events involved with Pixar were complicated to sort out. HC: Where did his catch phrase, “Insanely Great,” originate from? JH: Oh, I think that goes way back to when he was a teenager. Yes, I love using that in the book. Woz had the idea for a home computer and his employer, Hewlett Packard, wasn’t interested in developing it at that point. And then Woz showed the circuit board to Steve and Steve says, “Insanely great! Let’s start a company!” Jobs was the great salesman with the big picture. Woz was this engineering genius. HC: Steve Jobs was at the right place and at the right time in so many ways. JH: Yes, he grew up in and spent his whole life in Silicon Valley. It used to be known simply as Santa Clara Valley. His father was a machinist. He was adopted. His biological parents were graduate students at the time. One of the parents objected to the marriage on religious grounds. Steve was adopted, grew up in the suburbs of Santa Clara. His father worked in the tech industry. He didn’t go to college but he was a tinkerer and he and Steve would go to the local junkyard, fill up the truck with things, and do projects together. They’d put things together. There were tools all around. And the neighborhood was just swarming with engineers. Steve got to know a lot of the neighbors and how things work and what was going on. It was a very exciting time in what was to be known as Silicon Valley. HC: Steve could just pick up the phone and start talking to the founder of Hewlett Packard. JH: Yes! That’s right. He needed some parts for his frequency counter, a device that measure the pulses per second in an electronic signal. He had some of the pieces he needed but he was missing some. He knew that the head of Hewlett Packard lived nearby. So, he looked up Bill Hewlett in the phone book and called him up. Bill was so impressed with the young Steve Jobs that he offered him a summer job. HC: I am looking at a page from your binders. And I was thinking last night, what if Steve Jobs was standing beside you and looking at your process. He might say to you that he had an “insanely great” way to speed up your work flow. However, I am not sure that I would classify your system so much as “low tech” as “hands on.” I don’t believe that there would be a satisfactory alternative for how you work. JH: I like having little bits of paper around. I like sketching in a cafe and then slip that work into a binder. It is so hands on. And I love painting, working in gouache. This whole book was done in pen and ink. I went through six bottle of India ink and 24 Prismacolor pencils. It’s all hand-drawn. And people will snicker that I didn’t use a computer. But I did. With the gray tones, I had an assistant help me prepare all those files. HC: Thanks so much for this chat. I know you want to pursue more graphic biographies. You have the one about pioneering computer programmer Ada Lovelace. JH: That one, the Ada Lovelace book, is written by someone else and will be a picture book for younger readers. Currently, I am working on some art for a local show here on Long Island. The art will resemble totem poles. These will be called, “floatem poles.” They’re made from the flotsam and jetsam that washes up on the beach. And I’m working on some other books. I’m working with an entomologist on a book about insects. And I’m working on a book that features Tartufo, a truffle hound and that will be set in either Italy or France. I am going to Europe in a week to research that. HC: I wish you a great trip. And thank you for your time. You can find “Steve Jobs: Insanely Great” at Amazon right here. You can visit Jessie Hartland right here. Thank you, Eric. I was very happy to chat with Jessie. Dennis, you are hip to the reality distortion field! I am impressed. Well, Steve was quite a superhero. Great blog! I enjoyed reading your posts. I love your blog. Lots of fascinating stories. I can’t wait to see it rain spiders! I am fascinated and want to get the book and explore the graphic novel as an engaging media experience for adults! Glad to join you! Thanks. Wow! Awesome interview! Thanks for blogging it! Thank you so very much for sharing this great interview! Really appreciate your comment, JoHanna. Great idea for a graphic novel! He certainly was an interesting man, and I love that you’ve done one on Julia Childs as well. Two very diverse and interesting people. Thanks for the interview! I pass this on to you because the stories here are very much about time, a theme you’ve eloquently written about! So, time will pass, but I take note of everything along the way, large and small, all kinds of acknowledgements…and there is much, much, more ahead! I look forward to keeping up with your blog. Henry…I echo your thoughts about the headiness of being freshly pressed! 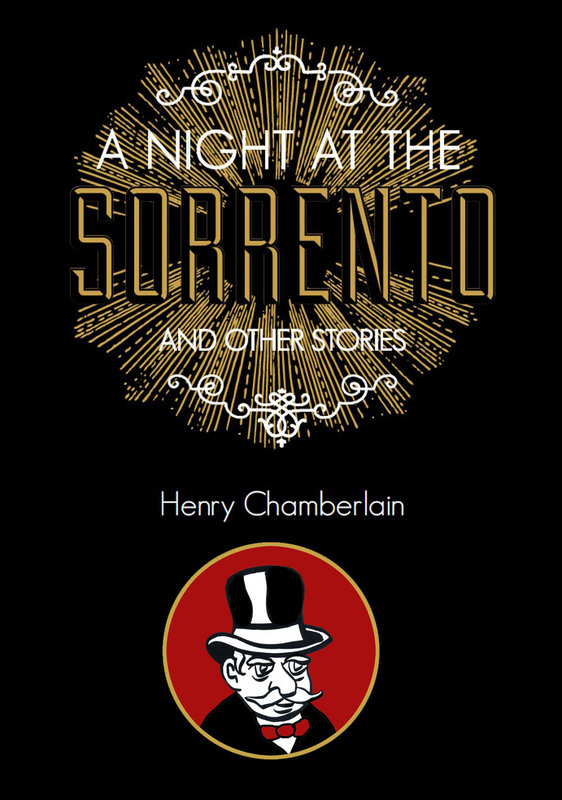 I look forward to seeing if I can access A Night at the Sorento for my IPad…if not, I will find another way! Thanks for your kind words, Pam! Really interesting character indeed. And I love that, as seen from the trailers, the upcoming movie also highlights his other contrasty side. It is this contrast that will probably make it a great film to watch. I guess this also means I’m piqued in learning about this book. The way this interview puts it, I have no doubt it doesn’t disappoint. A quick off question: do you think Michael Fassbender will do a better portrayal of Steve? Yes! He doesn’t particularly look like Steve Jobs (which doesn’t really matter) and I am confident that he will get to the heart of his subject. Really a great & inspiring interview. I got to learn many things from a writer and graphic artist’s perspective. Thanks a lot! Glad you liked it, Chandan! Not bad. I enjoyed it. Thank you. And you have a great blog which I’m sure will inform and inspire many readers. Yeah, interesting connection, to say the least! Thanks for commenting. You captured a timely piece on Jobs and the backstory on a creative approach to telling about his life. Many of us prefer pictures to words, so I look forward to the book. Thanks for sharing your interview. VickieVictoria, thank you for your comments and I love your travel blog! I can’t get enough of traveling. I love all aspects to it, even all the details involved in planning and anticipating starting a new journey. I strongly agree that he was at the right time and the right place. He knew how to streamline products, then sells them like hotcakes. Notice that I didn’t mention about ‘innovation’ here because it’s barely there, but iPhone is an exception as there were no good phones back then so this was truly innovative that many makers started to follow. Anyway, please do not get me wrong he is still a decent person who has inspired many people around the world . Wasipo, thanks so much for your thoughtful comments. Yes, what Steve Jobs did, he did exceptionally well and he made a tremendous impact. Hope to have you visit my blog again soon! Thanks and come back soon. There’s a wide variety of reviews, interviews, and various original features. 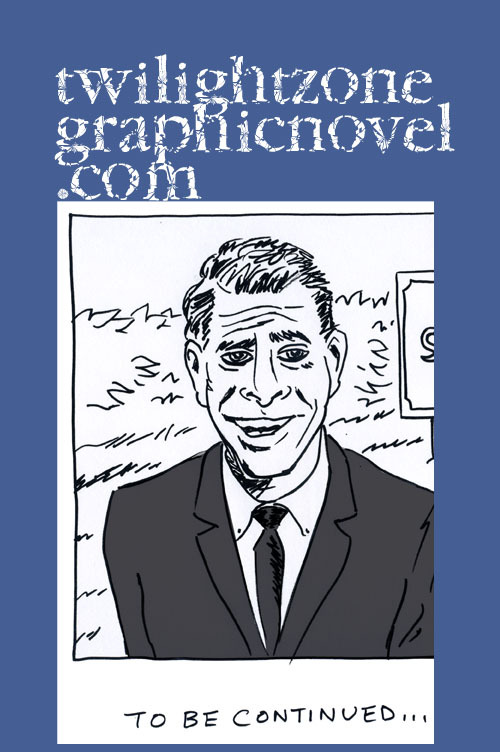 I’m happy to hear about Hartland’s graphic biography and enjoyed reading the interview. Thank you. I recently wrote a post that focuses on an aspect of Isaacson’s massive (but really fine) biography at http://notquiteignored.com/. That’s a great essay on Isaacson’s biography of Jobs. You’re welcome to write a guest blog post anytime. Wow! Thank you. I’ll keep your invitation in mind. Cool. You’re always welcome, Lotus. Thanks and be sure to stop by again. I think the focus of your blog is fascinating. And I was intrigued by your post on Disney Collector. I had not heard of her! But now I can’t get her voice out of my mind! Just kidding. I like this blog. check out mine kakulanex.wordpress.com is more abt relationship. Thank you. And good luck with your blog, Kakulanex. It looks like it is well on its way. Sure! I think you’re heading in the right direction. Hey, John, keep it up! Great blog. Thanks bro, I do it for individuals who are built for greatness but, haven’t realized it yet! That’s great! Well, Jessie Hartland’s book is a perfect place to start a discussion on story, design, and graphic novels in general. Thank you for your comments! BTW, if you are interested in a complimentary copy of my book, just let me know. It could be a book you’d like to share with your class. For multiple copies, I could do a bulk rate deal. Just a thought. Thank you, Soundarya. And warm regards! I hope to have you visit again. Hey! I read your blog and must say it is amazing and worth appreciation. Would you mind checking my blog please? I would be grateful if you drop your comments below. Deepasha, I think your poetry is powerful. I will definitely visit your blog again. And, if you’re interested in a complimentary copy of my book, just email me. I’ve offered this to some folks and have gotten some inspiring feedback. Thanks a lot Henry! I will surely get to you soon right now I am traveling . Glad you liked it! You’ll find a fun assortment of reviews, interviews, and various features here including original art and comics. Thanks so much. Greatly appreciated. Amazing, worth spending time and reading.. Thanks for your comment, Bill. I checked out your blog too. Nice balance of thoughtfulness and sense of fun. Yes, I want to read Issacson’s biography too. Thank you and I do like what you’re doing on your blog. Yes, well worth your time. Cool. Thank you for the reblog!